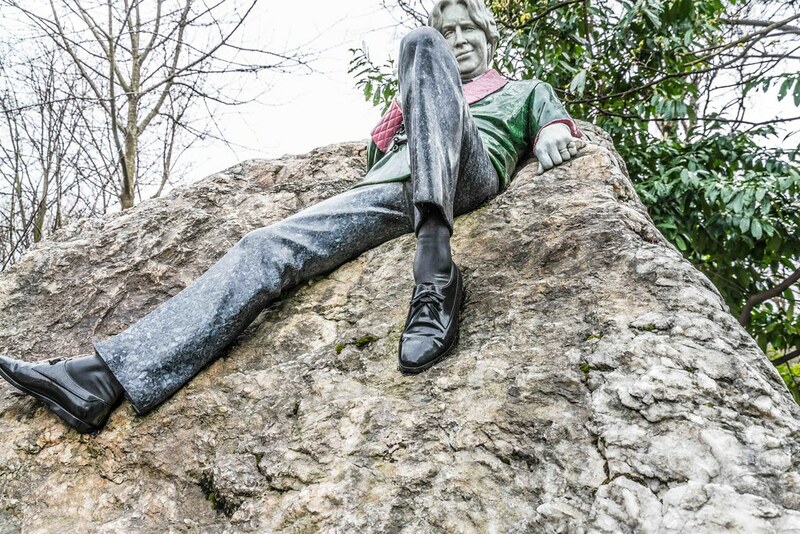 Oscar Wilde’s (1854-1900) rich and dramatic portrayals of the human condition have made him one of Ireland’s most popular and loved writers. 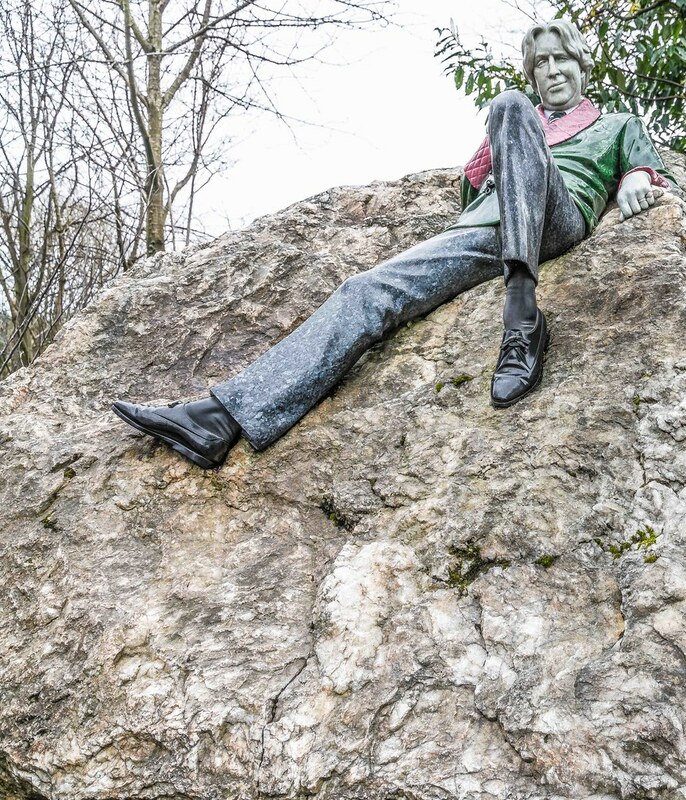 His short stories, plays and poems continue to inspire and entertain people the world over. 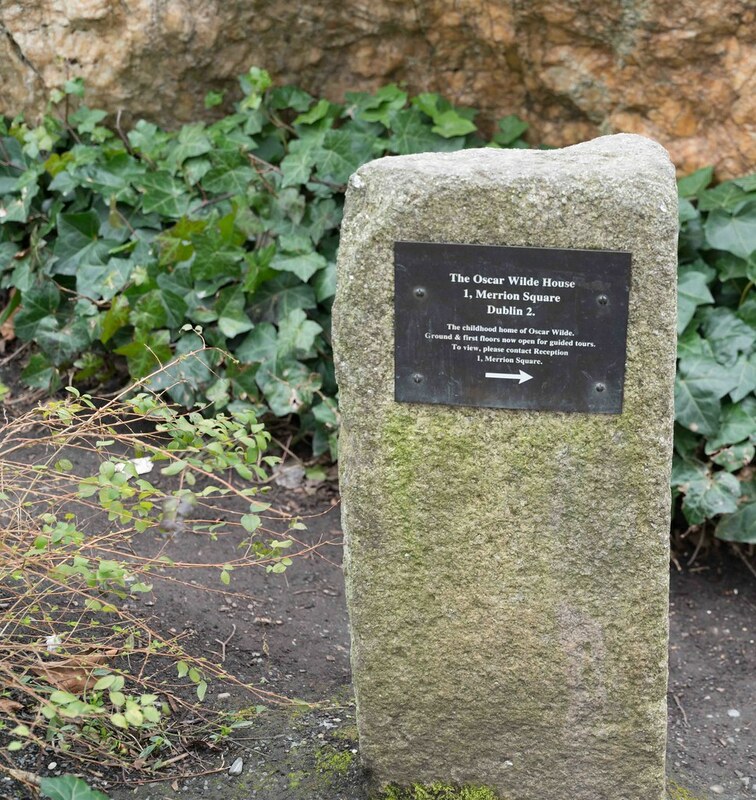 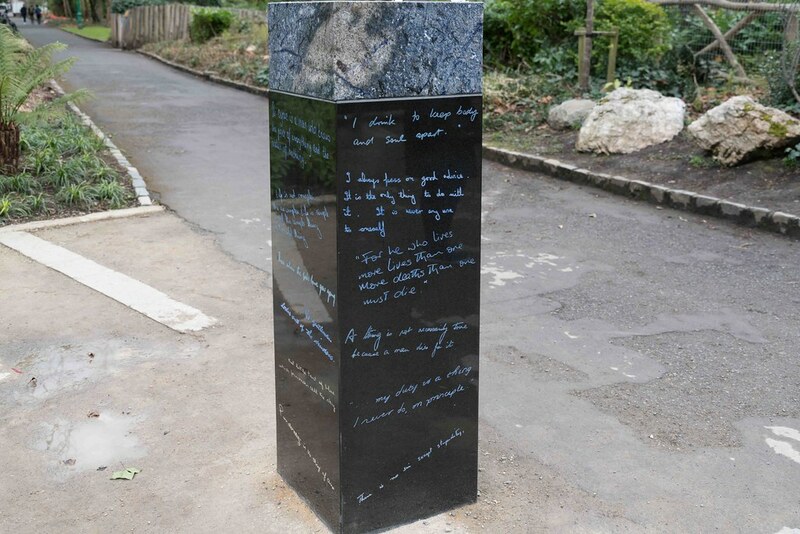 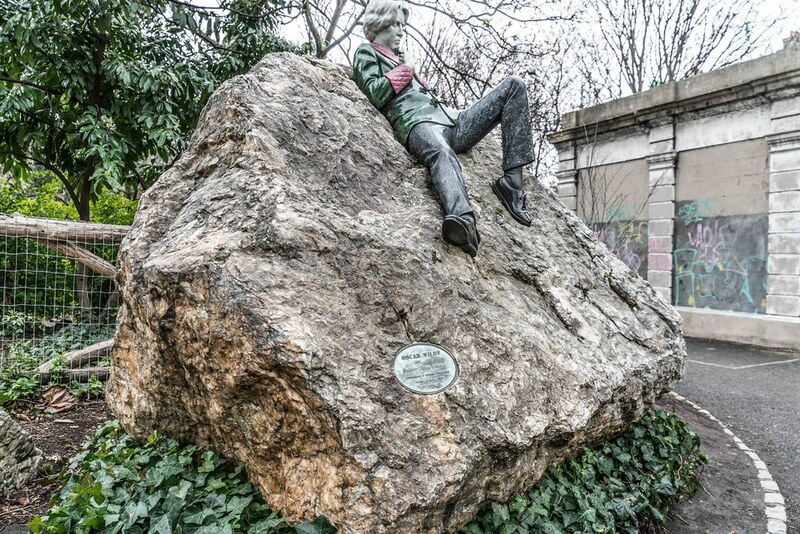 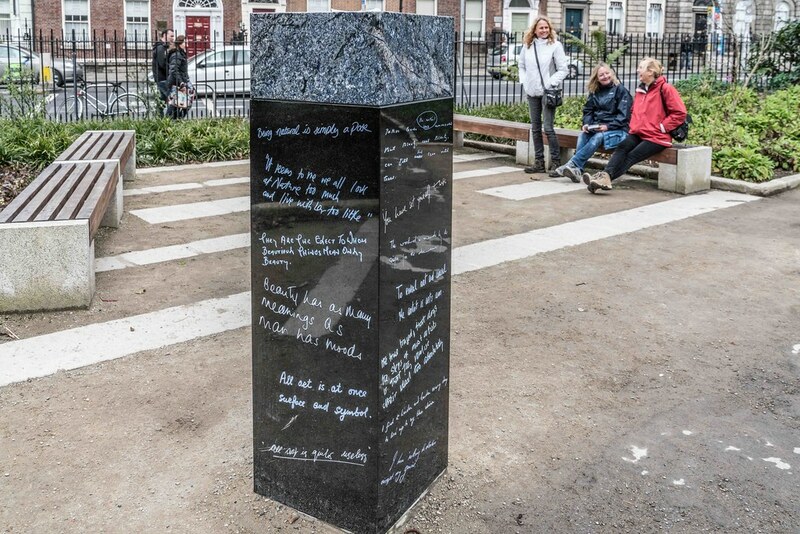 This memorial fittingly captures Wilde’s dramatic and audacious personality. 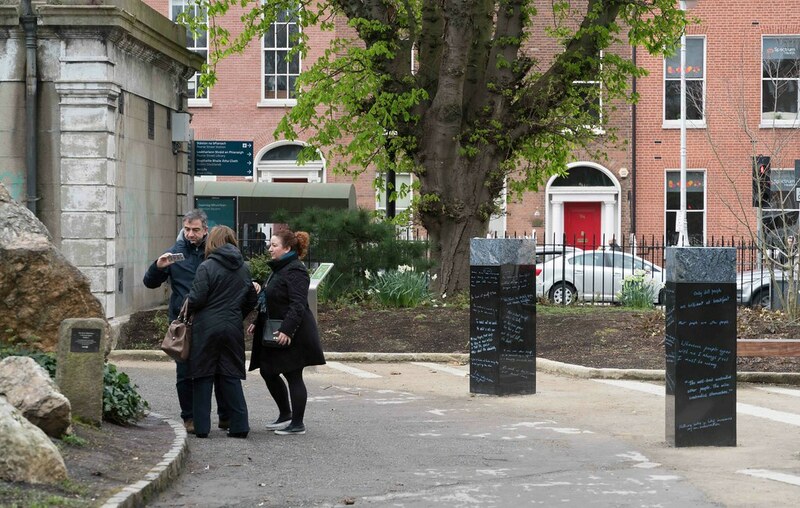 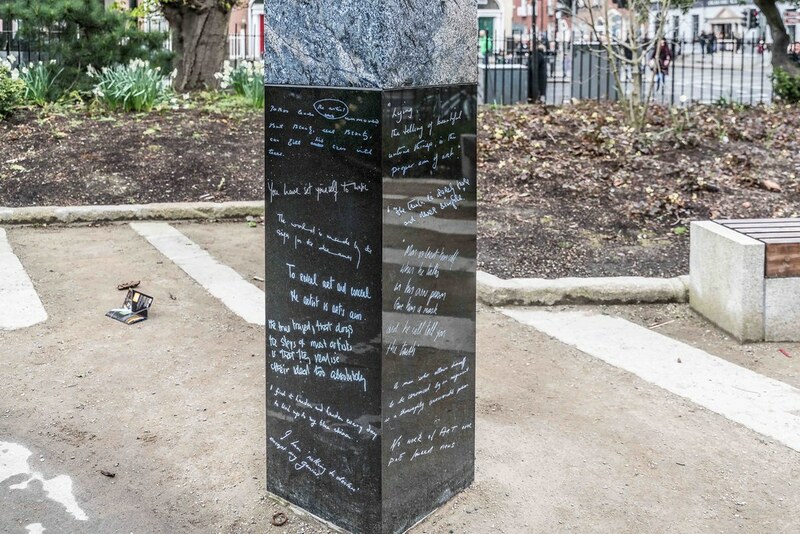 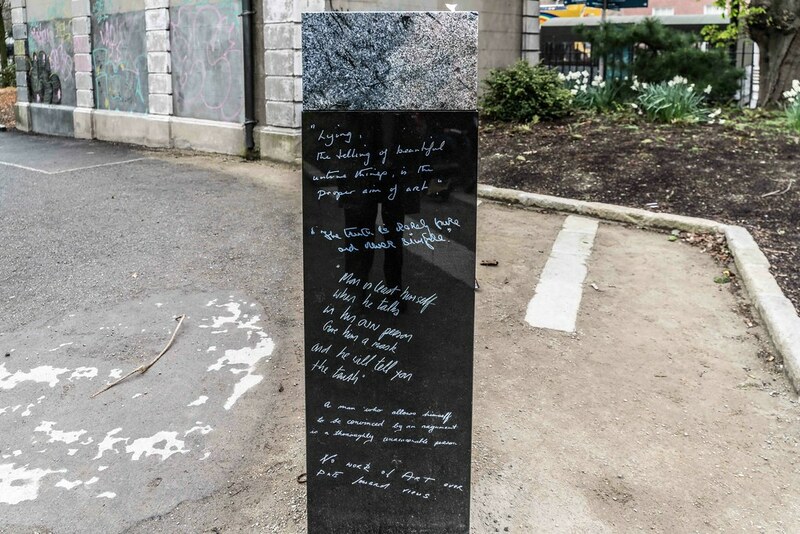 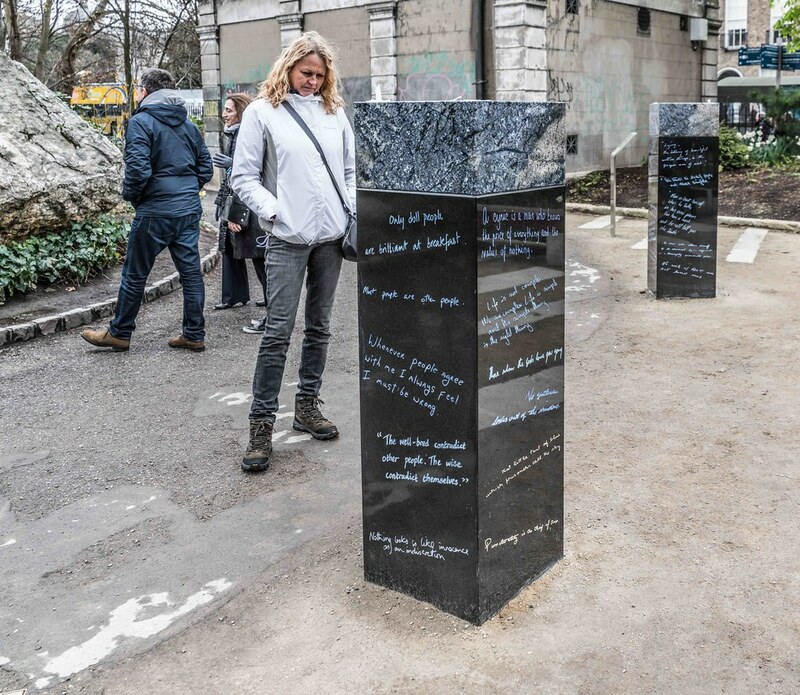 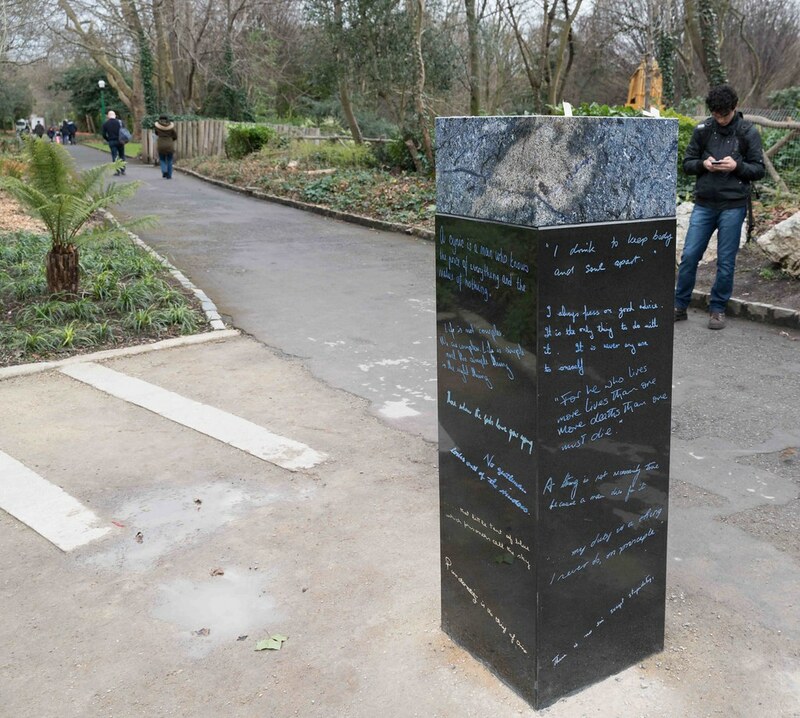 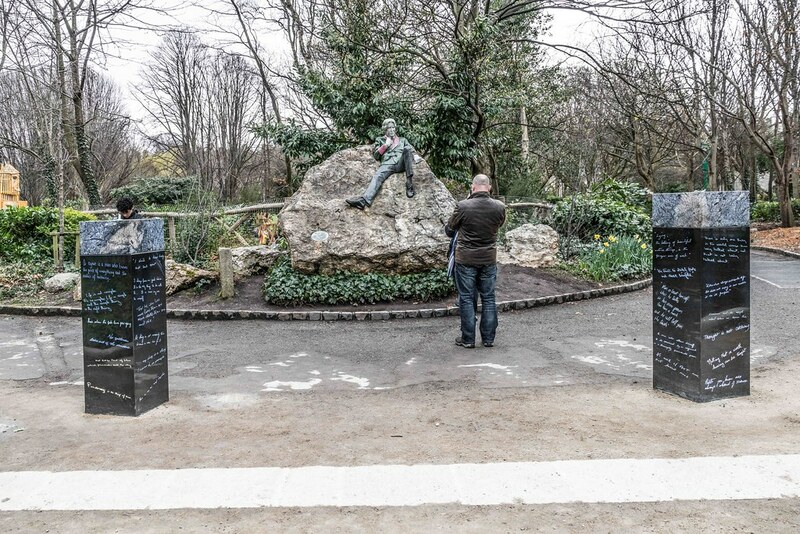 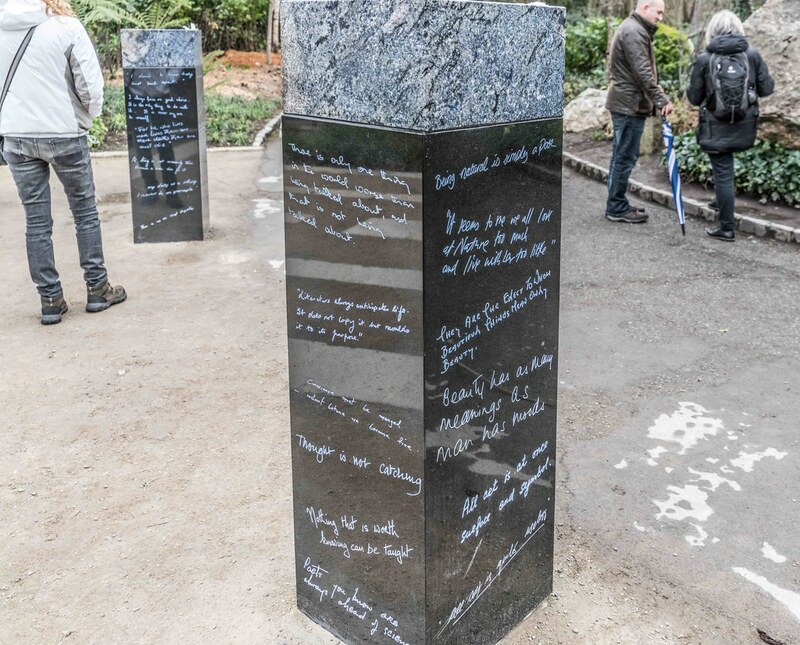 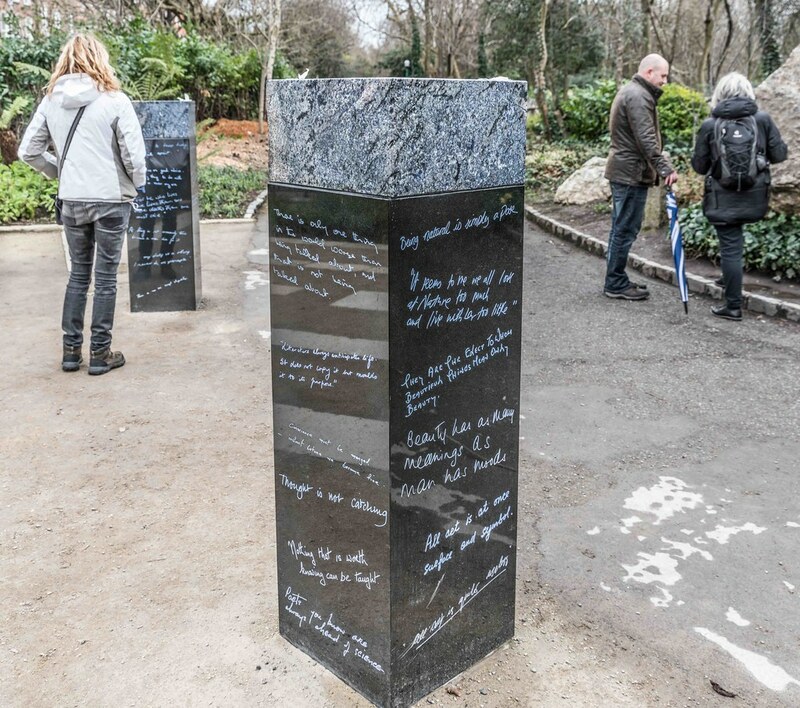 Commissioned by the Guinness Ireland Group, and created by Irish sculptor Danny Osborne, the memo- rial took almost two and a half years from conception to completion. 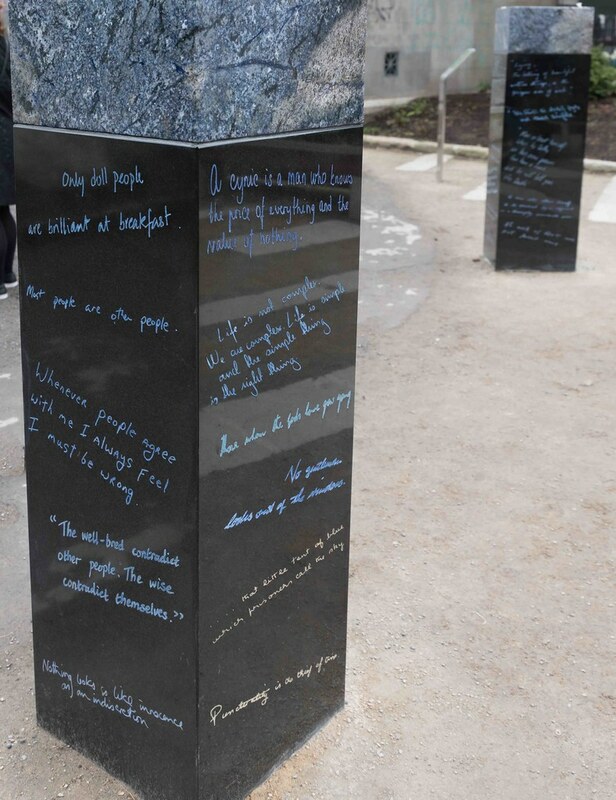 Geologists, quarry owners, glass workers and foundries from all over the world were consulted. 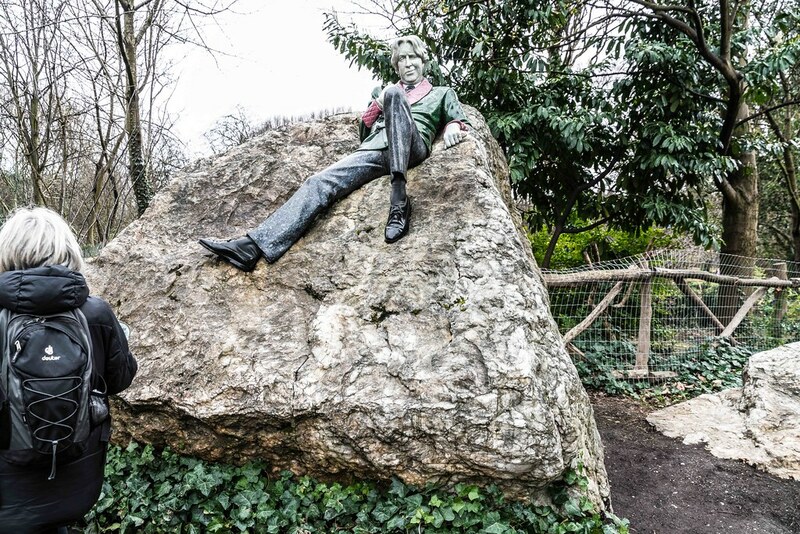 Osborne used complementary colour stones and also sought out stones with varying textures to give a much more lifelike representation of Wilde than in a conventional statue.